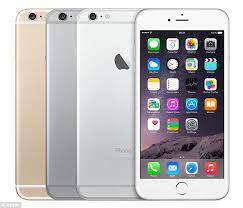 iPhone 6 for Blacklisted People, Iphone 6s and iphone 6 plus deals are now available online. Applicants can get an iPhone 6 delivered straight to their door in 24-48 hours after application. In order to qualify for the once in a lifetime deal, the applicant needs to be permanently employed, have a valid South African bank account, earn at least R3 000 and not be under debt administration. After applying and submitting all relevant documents, applicants could own one of the latest models of the iPhone. All cell phone contracts run for 24 months and the amount will be deducted via debit order. The debit order will take place every month for 24 months and will be from the applicant’s bank account into which their salary is deposited. This means that the applicant will not worry about having to deposit money every month to pay for their cell phone. Applicants have the option of a full or a top up contract and will be converted from the hassle of prepaid to the ease of contract benefits. To get this amazing cell phone deal, people can apply and have it delivered in no time without a hassle.